Gonzaga Bulldogs guard Zach Norvell Jr. joins Tiki and Tierney to discuss his decision to join the team. Former LSU linebacker Devin White joins Tiki and Tierney discuss his preparation for the 2019 NFL Draft. Tiki and Tierney discuss Damian Lillard's game winning shot, and 50-point performance in Game 5 versus the Oklahoma City Thunder. Quarterback consultant Jordan Palmer joins Tiki and Tierney to discuss what it takes to become a successful NFL quarterback. Oklahoma sports columnist Berry Tramel joins Tiki and Tierney to discuss his interactions with Thunder guard Russell Westbrook. Tiki and Tierney: Are the Cardinals overthinking the first pick? Tiki and Tierney discuss reports that the Arizona Cardinals are conflicted on drafting quarterback Kyler Murray with the number one overall pick. Former NFL cornerback Ike Taylor joins Tiki and Tierney to discuss the dysfunction in the Pittsburgh Steelers locker room. NFL analyst Daniel Jeremiah joins Tiki and Tierney to discuss the Raiders draft strategy. NFL Draft running back prospect Josh Jacobs joins Tiki and Tierney to discuss his preparation for the NFL Draft. Tiki and Tierney discuss Kyrie Irving's 37 point Game 2 performance versus the Indiana Pacers. NFL Hall of Fame coach Tony Dungy joins Tiki and Tierney to discuss the expectations for the Cleveland Browns, and Russell Wilson's new contract. Tiki and Tierney discuss Russell Westbrook's Game 2 performance versus the Portland Trail Blazers. Former Florida State pass rusher Brian Burns joins Tiki and Tierney to discuss his outlook on the upcoming NFL Draft. Former NFL safety Solomon Wilcots joins Tiki and Tierney to discuss Russell Wilson's contract extension with the Seattle Seahawks. Tiki and Tierney: Will Seattle trade Russell Wilson? NFL writer Michael Lombardi joins Tiki and Tierney to discuss Russell Wilson's future with the Seattle Seahawks. Tiki and Tierney discuss Tiger Woods winning the 2019 Masters. Tiki and Tierney: Does seeding even matter in the NBA Playoffs? Tiki and Tierney discuss the West Conference NBA teams and his playoff bracket. Virginia Cavaliers guard Ty Jerome joins Tiki and Tierney to discuss the team's path to the national championship. Tiki and Tierney: Did Magic Johnson embarrass the Lakers? Tiki and Tierney discuss on Magic Johnson's decision to abruptly step down as Lakers president. Tiki and Tierney: Should St. John's hire Rick Pitino? Tiki and Tierney discuss whether St. John's should hire Rick Pitino as their next head coach. Tiki and Tierney discuss Virginia 85-77 overtime victory over Texas Tech in the NCAA Championship Game. Tiki and Tierney address the Oakland Raiders Antonio Brown and the Pittsburgh Steelers JuJu Smith-Schuster situation. Former NBA forward Troy Murphy joins Tiki and Tierney to discuss Zion Williamson's future in the NBA. Tiki and Tierney: Is Bryce Harper the most polarizing athlete in sports? Tiki and Tierney discuss Bryce Harper's return to Washington D.C. after signing with the Philadelphia Phillies. Former Dallas Cowboys linebacker David Irving joins Tiki and Tierney to discuss his decision to retire after a failed drug test result. Tiki and Tierney discuss the Atlanta Braves' decision to sign left fielder Ronald Acuna Jr. to a eight-year, $100 million extension. Texas Tech head coach Chris Beard joins Tiki and Tierney to discuss facing coach Tom Izzo in the national semifinals. Tiki and Tierney discuss both Duke and Kentucky upset losses in the Elite Eight. Tiki and Tierney discuss Purdue's 99-94 Sweet 16 victory over Tennessee in the NCAA Tournament. Tiki and Tierney discuss Virginia's 80-75 victory over Purdue in the Elite Eight. Tiki and Tierney predict which MLB teams will have a great 2019 season. Former NFL referee Gene Steratore joins Tiki and Tierney to discuss the new NFL rule changes for coaches to challenge pass interference calls. College basketball analyst Len Elmore joins Tiki and Tierney to discuss the future of Virginia Tech head coach Buzz Williams. Michigan State basketball head coach Tom Izzo calls Tiki and Tierney to discuss the backlash he received for yelling at guard Cassius Winston. UFC reporter Ariel Helwani joins Tiki and Tierney to discuss Conor McGregor's future in mixed martial arts. College basketball insider Jon Rothstein joins Tiki and Tierney to preview key Sweet 16 matchups. Tiki and Tierney discuss Duke 77-76 victory over UCF in the second round of the NCAA Tournament. 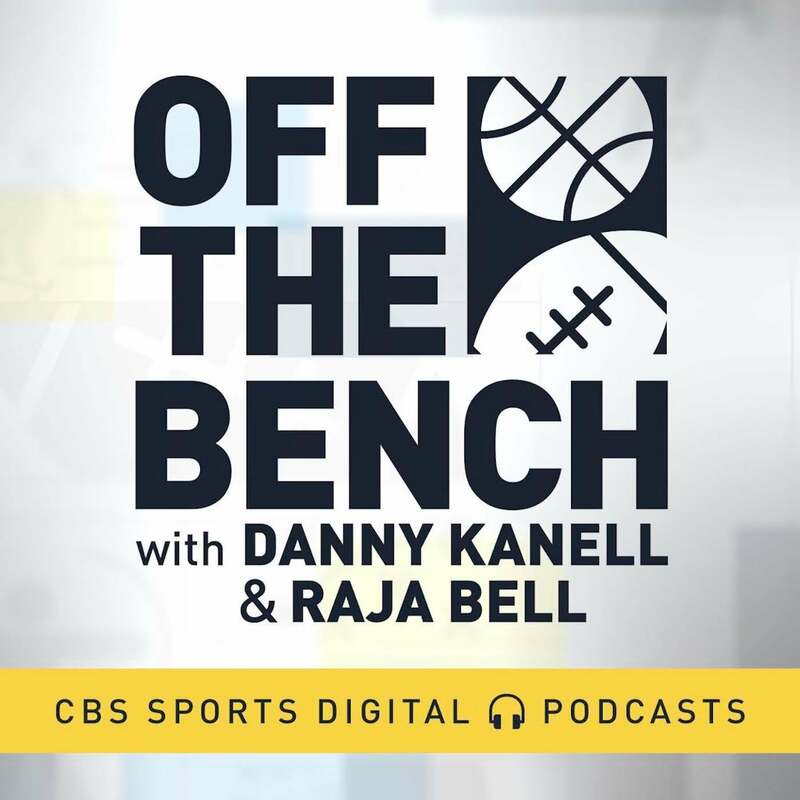 College basketball analyst Jon Rothstein joins Tiki and Tierney to discuss Ja Morant's triple-double performance in the first-round of the NCAA Tournament. Tiki and Tierney discuss whether Tom Izzo should be criticized for yelling at forward Aaron Henry during the NCAA Tournament. Buffalo basketball head coach Nate Oats joins Tiki Barber to discuss facing his former boss Bobby Hurley in the NCAA Tournament. Tiki Barber discusses Bruce Arians' decision to hire two women assistant coaches to his staff. Tiki Barber discusses Tate Martell's decision to transfer to Miami form the Ohio State. Tiki Barber discusses the Los Angeles Angels giving Mike Trout a 12-year, $430 million extension and shutting down the Phillies attempt to combine him with Bryce Harper. 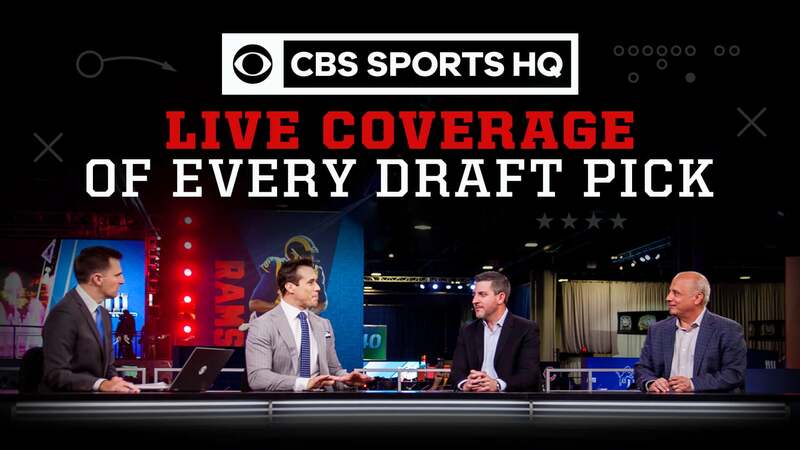 'CBS Sports' Jon Rothstein joins Tiki and Tierney to preview this year teams in the NCAA Tournament. Denver Broncos Kareem Jackson joins Tiki and Tierney to discuss his position with his team. Former Stanford running back Bryce Love joins Tiki and Tierney to discuss to discuss being a prospect in the NFL Draft. Tiki and Tierney discuss the New York Giants' decision to trade Odell Beckham Jr. to the Cleveland Browns. NBA analyst Wally Szcerbiak joins Tiki and Tierney to discuss the NY Knicks chances on landing the first overall pick for Zion Williamson. Tiki and Tierney discuss Russell Westbrook getting into a heated exchange with a Utah Jazz fan. Tiki and Tierney discuss the Pittsburgh Steelers trading wide receiver Antonio Brown to the Raiders. NFL insider Jason La Canfora joins Tiki and Tierney to discuss the Washington Redskins signing safety Landon Collins. Tiki and Tierney discuss comments on the Pittsburgh Steelers Antonio Brown's latest updates with the Buffalo Bills. Michigan Wolverines Devin Bush Jr. joins Tiki and Tierney to discuss comments on his NFL Combine results. Tiki and Tierney discuss comments on the Los Angeles Lakers Rajon Rondo sitting apart from his teammates. Orlando Magic center Nikola Vucevic joins Tiki and Tierney to discuss the team's playoff race. Virginia Cavaliers Head Coach Tony Bennett joins Tiki and Tierney to discuss their overall performance this season. Wofford Terriers Head Coach Mike Young joins Tiki and Tierney to discuss comments on their 2018-19 overall performance this season. Alliance of American Football chairman Tom Dundon joins Tiki and Tierney to discuss his decision to be a co-owner in the league. Tiki and Tierney discuss the Boston Celtics 115-104 loss to the Houston Rockets. MLB analyst C.J. Nitkowski joins Tiki and Tierney to breakdown Bryce Harper's 13-year contract with the Philies. NFL writer Pete Prisco joins Tiki and Tierney to discuss Kyler Murray's measurement at the NFL Draft Combine. Tiki and Tierney discuss Bryce Harper's decision to sign a 13-year contract with the Philadelphia Phillies. NBA writer Howard Beck joins Tiki and Tierney to discuss Anthony Davis' future with the New Orleans Pelicans. Tiki and Tierney: Is Kyrie Irving A Good Leader? Tiki and Tierney discuss the chemistry of the Boston Celtics. Former Notre Dame quarterback Julian Love joins Tiki and Tierney to discuss preparing for the NFL Draft Combine. Tiki and Tierney discuss LeBron James' comments after the Los Angeles Lakers 110-105 loss to the Memphis Grizzles. Tiki and Tierney: Can the Rockets go to the NBA Finals? NBA writer Sean Deveney joins Tiki and Tierney to discuss whether the Houston Rockets can eliminate the Golden State Warriors in the playoffs. Tiki and Tierney discuss the Los Angeles Lakers 128-115 loss to the New Orleans Pelicans. MLB writer Tom Verducci joins Tiki Barber to discuss how free agency will impact future CBA negotiations in MLB. Tiki and Tierney: Will Robert Kraft face legal troubles? Legal analyst Amy Dash joins Tiki Barber to discuss breaking news that Florida police has charged New England Patriots owner Robert Kraft with soliciting prostitutes. Tiki and Tierney: Is Le'Veon Bell out of shape? Tiki and Tierney discusses comments on the Pittsburgh Steelers Le'Veon Bell. Tiki and Tierney discuss comments on the Duke Blue Devils star player Zion Williamson's mild knee sprain last night against the North Carolina Tar Heels 72-88. Tiki and Tierney discuss reports that the Pittsburgh Steelers will not place a transitional tag on Le'Veon Bell, allowing him to be a free agent. Tiki and Tierney previews the North Carolina at Duke matchup. Tiki and Tierney discuss Manny Machado's decision to sign with the San Diego Padres. Former NHL player Jeremy Roenick joins Tiki and Tierney to discuss today's NHL players entertaining fans with antics. Tiki and Tierney: Did Colin Kaepernick sell out? Tiki and Tierney share their thoughts on the NFL reaching a settlement with Colin Kaepernick and Eric Reid on their collusion case. Tiki and Tierney discuss comments on the Matt Kuchar's public apology to his caddie Carlos Ortiz. Tiki and Tierney discuss the Denver Broncos decision to trade for quarterback Joe Flacco. Tiki and Tierney: The Browns sign Kareem Hunt! Tiki and Tierney talks comments on the Cleveland Browns signing Kareem Hunt. Tiki and Tierney discuss the Los Angeles Lakers 129-128 victory over the Boston Celtics. Tiki and Tierney talks the Golden State Warriors Kevin Durant handling comments from the Media. Tiki and Tierney: Can the Lakers Teammates Trust LeBron? NBA analyst Antonio Daniels joins Tiki and Tierney to discuss how trade rumors are affecting LeBron James' relationship with his teammates. PGA golfer Brooks Koepka joins Tiki and Tierney to discuss him entering the prime of his career. Tiki and Tierney discuss Kobe Bryant's comments on James Harden and the Houston Rockets chances to win a NBA Championship. Former NFL cornerback Ike Taylor joins Tiki and Tierney to discuss Todd Gurley's Super Bowl LIII performance. Tiki and Tierney discuss the New England Patriots 13-3 victory over the Los Angeles Rams in Super Bowl LIII. Tampa Bay Buccaneers quarterback James Winston joins Tiki and Tierney to discuss his performance. Tiki and Tierney preview comments on who they think should win the Super Bowl. The Kansas City Chiefs Tyreek Hill joins Tiki and Tierney to discuss comments on the mindset of his team after not making the Super Bowl. Tiki and Tierney discuss the New York Knicks decision to trade Kristaps Porzingis to Dallas Mavericks. Hall of Famer Shannon Sharp joina Tiki and Tierney to discuss comments on the Denver Broncos. Tiki and Tierney: Kyler Murray talks baseball or football! Former Oklahoma quarterback Kyler Murray joins Tiki and Tierney to discuss whether baseball or football comes more naturally to him. New York Giants running back Saquon Barkley joins Tiki and Tierney to discuss the leadership in the New York Giants locker room. Tiki and Tierney discuss Roger Goodell comments on the crucial missed call in the NFC Championship Game. NFL Hall of Fame wide receiver Michael Irving joins Tiki and Tierney to discuss Tony Romo's future in coaching. Former NFL coach Bill Cowher joins Tiki and Tierney to discuss the New England Patriots adaptability. Former Tampa Bay Buccaneers defensive coordinator Mike Smith joins Tiki and Tierney to discuss his time with the team. Tiki and Tierney discuss Tom Brady's comments at the Patriots Super Bowl LIII rally. Tiki and Tierney discuss the reports that Anthony Davis will not resign with the New Orleans Pelicans and requested a trade. Philadelphia Eagles defensive end Chris Long joins Tiki and Tierney to discuss reports about anonymous com plants about Carson Wentz. NFL insider Jason La Canfora joins Tiki and Tierney to discuss whether the Rooney Rule is working in the NFL. NFL Hall of Fame quarterback Warren Moon joins Tiki and Tierney to discuss Kyler Murray's NFL future. Tiki and Tierney discuss whether Derek Carr's response to Max Kellerman was appropriate. Tampa Bay Buccaneers head coach Bruce Arians joins Tiki and Tierney to discuss coaching quarterback Jameis Winston. Tiki and Tierney discuss Mariano Rivera being the first player to be unanimously voted into the Hall of Fame. MLB writer Bob Nightengale joins Tiki and Tierney to discuss Mariano Rivera making the Hall of Fame, and the chances for suspected steroid users. Rams sideline reporter D'Marco Farr joins Tiki and Tierney to discuss the performance of Jared Goff. Former New England Patriots wide receiver joins Tiki and Tierney discuss the Patriots offensive schemes and preparation. Tiki and Tierney: Should NFL refs be able to review penalties? Tiki and Tierney discuss the miss pass inference call by the referees in the NFC Championship Game. NFL insider Jason La Canfora joins Tiki and Tierney to discuss reports that the Miami Dolphins are interested in hiring patriots assistant Brian Flores as their head coach. Tiki and Tierney: Will Drew Brees show up big? Tiki and Tierney preview the NFC Championship Game between the New Orleans Saints and Los Angeles Rams. Tiki and Tierney discuss the performance of Boston Celtics guard Kyrie Irving versus the Toronto Raptors. Cleveland Browns running back Nick Chubb joins Tiki and Tierney to discuss his reaction to the team hiring Freddie Kitchens as the new head coach. Tiki and Tierney: Can the Lakers survive without LeBron? Tiki and Tierney discuss how LeBron James' injury affects the Los Angeles Lakers. Former NFL running back Stephen Jackson joins Tiki and Tierney to discuss how he would handle the Antonio Brown situation if he was still with the Steelers. College basketball analyst Pete Gillen joins Tiki and Tierney to discuss the performance of Duke freshman forward Zion Williamson. Former LSU quarterback and Marlins third baseman Josh Booty joins Tiki and Tierney to discuss Kyler Murray's future in baseball. NFL writer Robert Klemko joins Tiki and Tierney to discuss Nick Foles' future with the Philadelphia Eagles. Tiki and Tierney discuss the Los Angeles Rams 30-22 victory over the Dallas Cowboys. Tiki and Tierney preview the NFC Divisional Round matchup between the Dallas Cowboys and Los Angeles Rams. NFL insider Jason La Canfora joins Tiki and Tierney to discuss Antonio Brown's future with the Pittsburgh Steelers. Starred as "Turtle" on the HBO comedy series Entourage Jerry Ferrara joins Tiki and Tierney to discuss the experience on being apart of the NBA Gaming world. Starred as "Turtle" on the HBO comedy series Entourage Jerry Ferrara joins Tiki and Tierney to discuss if Pat Shurmur is the right coach for the New York Giants. NFL columnist Pete Prisco calls Tiki and Tierney to discuss NFL coaching vacancy. Tiki and Tierney discuss the Cleveland Browns' decision to hire Freddie Kitchens. Tiki and Tierney discuss the Clemson Tigers 44-16 victory over Alabama in the National Championship Game. Tiki and Tierney discuss the Green Bay Packers decision to hire Matt LaFleur as their next head coach. Tiki and Tierney discuss reports that USC has granted offensive coordinator Kliff Kingsbury permission to interview with NFL teams. Former NFL quarterback Ryan Leaf joins Tiki and Tierney to discuss the performance of Los Angeles Chargers Philip Rivers. NFL insider Jason La Canfora joins Tiki and Tierney to discuss the Miami Dolphins coaching search, and interest in former coach Adam Gase. Tiki and Tierney discuss the passing of former Virginia football head coach George Welsh. NBA writer Ric Bucher joins Tiki and Tierney to discuss whether the Denver Nuggets can make it to the NBA Finals. MLB analyst John Smoltz joins Tiki and Tierney to discuss if any player is worth a $400 million contract. Former NFL quarterback Gus Frerotte joins Tiki and Tierney to discuss the performance of Lamar Jackson. Tiki and Tierney discuss reports that Antonio Brown would like to be traded from the Pittsburgh Steelers. Will Brinson joins Tiki and Tierney to discuss reports that the Pittsburgh Steelers suspended Antonio Brown during their Week 17 matchup versus the Cincinnati Bengals. Tiki and Tierney share their thoughts on the NFL coaches who were fired at the end of the season. CBS Sports' NFL Insider joins Tiki and Tierney to give his Injury report for this weekend. Tiki and Tierney discuss how much the last game of the season means to Kirk Cousins. Tiki and Tierney: Are the Warriors the best in the West anymore? Tiki and Tierney talk about the Warriors and if they are the best in the Western Conference anymore? Ian Eagle joins Tiki and Tierney to discuss Baker Mayfield. Tiki and Tierney: Are Baker Mayfield's comments good for the Browns? Tiki and Tierney discuss Baker Mayfield's attitude and if it is good for the Browns. Ronde Barber joins Tiki Barber to talk about the Buccaneers. Blake James joins Tiki Barber to discuss head coach Mark Richt. NFL insider Jason La Canfora joins Tiki and Tierney to discuss the teams making a late season playoff run. Tiki and Tierney: Should the NBA fine LeBron for tampering? Tiki and Tierney discuss reports that NBA general manager are upset the league didn't fine LeBron for tampering after his Anthony Davis comments. NBA analyst Antonio Davis joins Tiki and Tierney to discuss the performance of the Oklahoma City Thunder this season. Tiki and Tierney discuss reports that New England Patriots wide receiver Josh Gordon may be facing an indefinite suspension for violating the NFL's substance abuse policy. Director of scouting Barton Simmons joins Tiki and Tierney to discuss which teams has the best recruiting class. Tiki and Tierney discuss reports that the Los Angeles Lakers are interested in acquiring forward Anthony Davis. Tiki and Tierney discuss the performance of quarterback Cam Newton in the the Panthers 12-9 loss to the New Orleans Saints. Houston Texans defensive back Kareem Jackson joins Tiki and Tierney to discuss the Texans quest to lock in a first-round bye in the AFC. Former NFL linebacker A.J. Hawk joins Tiki Barber to discuss Mike McCarthy's relationship with Aaron Rodgers. Tiki Barber discusses the Dallas Cowboys 23-0 loss to the Indianapolis Colts. NFL insider Jason La Canfora joins Tiki and Tierney to discuss Joe Flacco's future with the Baltimore Ravens. Tiki and Tierney discuss the Los Angeles Chargers 29-28 victory over the Kansas City Chiefs. Tiki and Tierney discuss the Toronto Raptors 113-93 victory over the Golden State Warriors. NFL announcer Ian Eagle joins Tiki and Tierney to discuss the matchup between the Kansas City Chiefs and Los Angeles Chargers. Tiki and Tierney: Where will the Raiders play next season? NFL analyst Amy Trask joins Tiki and Tierney to discuss the city of Oakland filing a lawsuit against the Raiders. Tiki and Tierney: Is Jimmy Butler worth the trouble? Tiki and Tierney discuss Jimmy Butler's recent comments on Blake Griffin. NBA writer Michael Lee joins Tiki and Tierney to discuss Joel Embiid's performance after the Philadelphia 76ers acquired Jimmy Butler. NFL analyst Brady Quinn joins Tiki and Tierney to discuss the performance of Dallas Cowboys quarterback Dak Prescott. NFL analyst Charles Davis joins Tiki and Tierney to discuss the Oakland Raiders decision to fire general manager Reggie McKenzie. Tiki and Tierney discuss the Miami Dolphins 34-33 victory over the New England Patriots. Former Army halfback General Pete Dawkins joins Tiki and Tierney to discuss what it is like to play in an Army-Navy Game. Former Navy and Dallas Cowboys quarterback Roger Staubach joins Tiki and Tierney to discuss his transition into the NFL. Ian Eagle joins Tiki and Tierney to talk about if Jim Harbaugh will make a return to the NFL. Pro-golfer Henrik Stenson joins Tiki and Tierney to talk about how golf really doesn't have an off-season. Tiki and Tierney: Aaron Rodgers or Baker Mayfield? Tiki Barber discusses which head coaching vacancy is more appealing between having to coach Aaron Rodgers in Green Bay or Baker Mayfield in Cleveland. San Diego Fleet head coach Mike Martz joins Tiki and Tierney to discuss participate in the newly formed Alliance of American Football league. NFL announcer Ian Eagle joins Tiki and Tierney to preview the Thursday Night matchup between the New Orleans Saints and Dallas Cowboys. Bracketology expert Jerry Palm joins Tiki and Tierney to discuss how the college basketball rankings are compile. Tiki and Tierney discuss Washington Redskins claiming Reuben Foster off waivers after his domestic violence arrest. Professional boxer Deontay Wilder joins Tiki Barber to discuss facing Tyson Fury for the WBC heavyweight title. Former NBA player Lamar Odom joins Tiki and Tierney to discuss his plans to play in China next year. Tiki and Tierney discuss how they expect the Cleveland Cavaliers fans to react to the return of LeBron James. New York Jets wide receiver Quincy Enunwa joins Tiki and Tierney to discuss the team's recent struggles. Arizona Cardinals safety Antoine Bethea joins Tiki and Tierney to discuss the progression of rookie quarterback Josh Rosen. Michigan State head coach Tom Izzo joins Tiki and Tierney to discuss the Spartans tough opening schedule. Tiki and Tierney discuss Ron Rivera's decision to go for a two-point conversion to win the game. Tiki and Tierney discuss the season ending leg injury to Washington Redskins quarterback Alex Smith. Tiki and Tierney discuss LeBron James 44 points performance versus the Portland Trail Blazers. Cleveland Browns tight end David Njoku joins Tiki and Tierney to discuss the team's transition after Hue Jackson and Todd Haley were fired. Tiki and Tierney discuss the Golden State Warriors' decision to suspend Draymond Green for his argument with Kevin Durant. Actor and director Dolph Lundgren joins Tiki and Tierney to discuss his role in the "Creed 2" sequel. Tiki and Tierney: Is Tom Brady declining? Tiki and Tierney discuss the performance of Tom Brady versus the Tennessee Titans. Tiki and Tierney: How long will Carmelo Anthony be in the NBA? Tiki and Tierney discuss Carmelo Anthony's future with the Houston Rockets. NFL insider Jason La Canfora joins Tiki and Tierney to discuss the New Orleans Saints free agent options after Dez Bryant's injury. Tiki and Tierney discuss the Pittsburgh Steelers 52-21 victory over the Carolina Panthers. NBA analyst Sekou Smith joins Tiki and Tierney to discuss Luke Walton's job security with the Los Angeles Lakers. Former NFL running back Tony Dorsett joins Tiki and Tierney to discuss the performance of the Dallas Cowboys after adding wide receiver Amari Cooper. NFL announcer Ian Eagle joins Tiki and Tierney to preview the Week 10 matchup between the Carolina Panthers and Pittsburgh Steelers. Former NFL running back Brian Westbrook joins Tiki and Tierney to discuss whether the Philadelphia Eagles will make another run to the Super Bowl. Los Angeles Chargers safety Jahleel Addae joins Tiki and Tierney to discuss the team's 2018 season. New Orleans Saints defensive end Cameron Jordan joins Tiki and Tierney to discuss the team's 45-35 victory over the Los Angeles Rams. Tiki and Tierney discuss the New Orleans Saints 45-35 victory over the Los Angeles Rams. Tiki and Tierney: Is Luke Walton's job safe? Tiki and Tierney discuss reports that Los Angeles Lakers president Magic Johnson confronts head coach Luke Walton on team's slow start. NFL insider Jason La Canfora joins Tiki and Tierney to discuss possible candidates for the Cleveland Browns coaching vacancy. Tiki and Tierney: Is Luke Walton on the hot seat? College football analyst Houston Nutt joins Tiki and Tierney to preview the matchup between Alabama and LSU. Tiki and Tierney discuss on Maryland's decision to reinstate head coach D.J. Durkin following the death of Jordan McNair. Maryland alumni and NFL analysts Boomer Esiason joins Tiki and Tierney to discuss D.J. Durkin's future with Maryland Terrapins football. Jacksonville Jaguars cornerback Jalen Ramsey calls Tiki Barber to discuss the team's performance this season. Former NFL linebacker Shawne Merriman joins Tiki and Tierney to discuss the trades made during the NFL trade deadline. Tiki and Tierney talk about the trade rumors about a trade between the Rockets and the Timberwolves for Jimmy Butler. Tiki and Tierney: Should the Texans pick up Dez Bryant? CBS Sports' NFL Insider Jason La Canfora joins Tiki and Tierney to talk about if the Texans should pick up free agent Dez Bryant. Tiki and Tierney talk about the Texans winning 5 straight football games. NFL announcer Ian Eagle joins Tiki and Tierney to discuss the resurgence of Dolphins quarterback Brock Osweiler. Tiki and Tierney discuss the Boston Red Sox 4-2 Game 2 victory over the Los Angeles Dodgers. NFL writer Pete Prisco joins Tiki and Tierney discuss the performance of Jacksonville Jaguars quarterback Blake Bortles. Tiki and Tierney discuss the Boston Red Sox 8-4 Game 1 victory over the Los Angeles Dodgers in the World Series. MLB analyst Ryan Dempster joins Tiki and Tierney to discuss Manny Machado's comments on hustling towards first base. Denver Broncos cornerback Chris Harris Jr. joins Tiki and Tierney to discuss Amari Cooper's ability at wide receiver and slowing down Kansas City Chiefs quarterback Patrick Mahomes. Tiki and Tierney discuss the state of the New York Giants after their 23-20 loss to the Atlanta Falcons. Tiki and Tierney discuss the NBA's decision to suspend Chris Paul, Rajon Rondo, and Brandon Ingram for their involvement in the brawl between the Houston Rockets and Los Angeles Lakers. Tiki and Tierney discuss the Jacksonville Jaguars' decision to bench quarterback Blake Bortles during their matchup versus the Houston Texans. Hall of Fame NBA center Kareem Abdul-Jabbar joins Tiki and Tierney to discuss athletes participating in social activism. NFL insider Jason La Canfora joins Tiki and Tierney to discuss the Cleveland Browns trading running back Carlos Hyde to the Jacksonville Jaguars. Tiki and Tierney discuss the Los Angeles Lakers 128-119 loss to the Portland Trail Blazers. Tiki and Tierney: Is Khalil Mack as great as Lawrence Taylor? NFL announcer Ian Eagle joins Tiki and Tierney to discuss Bill Belichick's comments on Lawrence Taylor and Khalil Mack. Hall of Fame offensive lineman Anthony Munoz joins Tiki and Tierney to discuss the performance of the Cincinnati Bengals. Tiki and Tierney discuss Carmelo Anthony's performance in the Houston Rockets season opener. Tiki and Tierney: Was Manny Machado wrong? Tiki and Tierney discuss whether Manny Machado is a dirty player. Baseball analyst David Samson joins Tiki and Tierney to discuss the Los Angeles Dodgers 4-0 Game 3 loss to the Milwaukee Brewers in the NLCS. Football analyst Danny Kannell joins Tiki and Tierney to discuss the NFL potential of Alabama quarterback Tua Tagovailoa. NFL reporter Ed Werder joins Tiki and Tierney to discuss the performance of Dallas Cowboys quarterback Dak Prescott. Tiki and Tierney discuss the performance of Kansas City Chiefs quarterback Patrick Mahomes against the New England Patriots. Tiki and Tierney discuss the Philadelphia Eagles 34-13 victory over the New York Giants in Week 6. NFL insider Jason La Canfora joins Tiki and Tierney to discuss Jameis Winston future with the Tampa Bay Buccaneers. Former Florida Gators quarterback Danny Wuerffel joins Tiki and Tierney to discuss head coach Dan Mullen. Tiki and Tierney: Was Jimmy Butler's outburst staged? Tiki and Tierney share their thoughts on Jimmy Butler's outburst at the Minnesota Timberwolves practice. NC State Wolfpack quarterback Ryan Finley joins Tiki and Tierney to discuss his future in the NFL. Tiki and Tierney discuss the performance of Giancarlo Stanton in the ALDS versus the Boston Red Sox. Bellator MMA fighter Chael Sonnen joins Tiki and Tierney to discuss his reaction to the post match brawl at UFC 229. CBS Sports announcer Verne Lundquist joins Tiki and Tierney to discuss his new book 'Play by Play'. NFL insider Jay Glazer joins Tiki and Tierney to discuss the aftermath of UFC 229 between Khabib Nurmagomedov and Conor McGregor. Tiki and Tierney discuss Odell Beckham Jr. comments about the New York Giants' struggles. Minnesota Vikings tight end Kyle Rudolph joins Tiki and Tierney to discuss the performance of quarterback Kirk Cousins. Tiki and Tierney: Jason La Canfora talks Odell Beckham Jr.
NFL insider Jason La Canfora talks to Tiki and Tierney to discuss Odell Beckham Jr.'s comments on the New York Giants offense. Former college football head coach Les Miles joins Tiki and Tierney to discuss the impact the new transfer rules has on quarterback. MLB analyst Harold Reynolds joins Tiki and Tierney to discuss the New York Yankees 7-2 victory over the Oakland Athletics in the AL Wild Card game. NFL announcer Ian Eagle joins Tiki and Tierney to preview the Week 5 matchup between the New York Jets and Denver Broncos. UFC Knights quarterback McKenzie Milton joins Tiki and Tierney to discuss head coach Josh Heupel. UFC reporter Ariel Helwani joins Tiki and Tierney to discuss Khabib Nurmagomedov vs. Conor McGregor matchup at UFC 229. Kentucky Wildcats running back Benny Snell Jr. joins Tiki and Tierney to discuss his decision to play for the Wildcats. Tiki and Tierney preview the wildcard matchup between the Oakland A's and New York Yankees. Cincinnati Bengals wide receiver A.J. Green joins Tiki and Tierney to discuss the performance of quarterback Andy Dalton. Houston Texans cornerback Kareem Jackson joins Tiki and Tierney to discuss the Texans 37-34 victory over the Indianapolis Colts. Tiki and Tierney: Should Eli Manning take the blame for the Giants struggles? Tiki and Tierney discuss the performance of New York Giants quarterback Eli Manning. Former Cleveland Browns offensive tackle Joe Thomas joins Tiki and Tierney to discuss the performance of rookie quarterback Baker Mayfield. Tiki and Tierney discuss the Carolina Panthers decision to sign free-agent safety Eric Reid. NFL announcer Ian Eagle joins Tiki and Tierney to discuss the health situation of Minnesota Vikings defensive end Everson Griffen. Tiki and Tierney discuss the decision of Clemson quarterback Kelly Bryant to transfer after being benched Trevor Lawrence. New Orleans Saints tight end Ben Watson joins Tiki and Tierney to discuss playing with quarterback Drew Brees. Seattle Seahawks linebacker Shaquem Griffen joins Tiki and Tierney to discuss playing with his brother in the NFL. Former NFL full back Chris Gronkowsk joins Tiki and Tierney to discuss Rob Gronkowski's future with the New England Patriots. Former NFL quarterback Michael Vick joins Tiki and Tierney to discuss the performance of Kansas City Chiefs quarterback Patrick Mahomes. Tiki and Tierney discuss the comments of Green Bay Packers linebacker Clay Matthews on being penalize for sacking the quarterback. Tampa Bay Buccaneers tight end O.J. Howard joins Tiki and Tierney to discuss the performance of quarterback Ryan Fitzpatrick. NFL insider Jason La Canfora joins Tiki and Tierney to discuss the performance of Cleveland Browns quarterback Baker Mayfield. Former NFL wide receiver Hines Ward joins Tiki and Tierney to discuss the formation of the Alliance of American Football league. Former NCAA football coach Steve Spurrier joins Tiki and Tierney to discuss becoming a coach in the Alliance of American Football league. Author Ian O' Connor joins Tiki and Tierney to discuss Tom Brady's relationship with Bill Belichick. Tiki and Tierney discuss the reports that Jimmy Butler requested a trade from the Minnesota Timberwolves and preferred destinations are: the Brooklyn Nets, New York Knicks, and Los Angeles Clippers. LA Chargers offensive tackle Joe Barksdale joins Tiki and Tierney to discuss their upcoming matchup versus the Los Angeles Rams. Former NFL punter Pat McAfee joins Tiki and Tierney to discuss the chemistry of the Pittsburgh Steelers. NFL analyst Charles Davis joins Tiki and Tierney to discuss the performance of Aaron Rodgers in the Green Bay Packers 29-29 tie with the Minnesota Vikings. Tiki and Tierney discuss the Cleveland Browns 21-18 loss to the New Orleans Saints. Tiki and Tierney discuss Tiki Barber being named a 2019 nominee to the Pro Football Hall of Fame. NFL insider Jason La Canfora joins Tiki and Tierney to discuss the injury to Philadelphia Eagles quarterback Carson Wentz. Stanford football head coach David Shaw joins Tiki Barber to discuss his decision to rest star running back Bryce Love for one game. NFL announcer Ian Eagle joins Tiki Barber to discuss the pressure on Baltimore Ravens quarterback Joe Flacco. Tiki Barber discusses the Buffalo Bills decision to start rookie quarterback Josh Allen in Week 2. NFL Network host Kyle Brandt joins Tiki and Tierney to discuss the Raiders decision to hire Jon Gruden as their head coach. Tiki and Tierney discuss Sam Darnold's performance in the New York Jets 48-17 Week 1 victory over the Detroit Lions. NFL analyst Brian Billick joins Tiki and Tierney to discuss the Week 1 performance of quarterback Aaron Rodgers as he led the Green Bay Packers to a 24-23 victory over the Chicago Bears. Tiki and Tierney discuss the Cleveland Browns and Pittsburgh Steelers game ending in a 21-21. NFL insider Jason La Canfora calls Tiki and Tierney to discuss Le'Veon Bell's holdout with the Pittsburgh Steelers. Tiki and Tierney discuss the Philadelphia Eagles 18-12 victory over the Atlanta Falcons in Week 1. Former Louisville Cardinals head basketball coach Rick Pitino joins Tiki and Tierney to discuss former allegations during his coaching career. Former Louisville Cardinals head basketball coach Rick Pitino joins Tiki and Tierney to discuss his decision to retire from coaching. Rams reporter Vincent Bonsignore joins Tiki and Tierney to discuss Aaron Donald's new contract with the Los Angeles Rams. Jacksonville Jaguars defensive tackle Malik Jackson joins Tiki and Tierney to discuss whether quarterback Blake Bortles can lead to the team to the Super Bowl. Tiki and Tierney discuss the pressure Michigan coach Jim Harbaugh faces after losing to Notre Dame 24-17. Former New York Jets cornerback Eric Coleman joins Tiki and Tierney to discuss the Jets naming rookie quarterback Sam Darnold as the starter. Former NFL fullback Lorenzo Neal joins Brandon Tierney to discuss the expectations for quarterback Jimmy Garoppolo. Steelers reporter Ed Bouchette joins Brandon Tierney to discuss Le'Veon Bell's preseason holdout. Sports columnist Paul Daugherty joins Brandon Tierney to discuss the future of Marvin Lewis and Andy Dalton. Former Minnesota Vikings punter Greg Coleman joins Brandon Tierney to discuss the expectations of quarterback Kirk Cousins. Brandon Tierney and David Diehl discuss Aaron Rodgers new contract with the Green Bay Packers. Dolphins writer Armando Salguero joins Brandon Tierney and David Diehl to discuss the future of Ryan Tannerhill and Adam Gase, and the loss of Jarvis Landry. Brandon Tierney and David Diehl discuss the New York Jets trading quarterback Teddy Bridgewater to the New Orleans Saints. Los Angeles Chargers wide receiver Mike Williams joins Brandon Tierney and David Diehl to discuss his preparation for his second season with the team. NFL analyst Tony Romo joins Brandon Tierney and David Diehl to discuss the potential of New York Jets quarterback Sam Darnold. Baltimore Ravens safety Tony Jefferson joins Tiki and Tierney to discuss the future of the quarterback Joe Flacco. Tennessee Titans running back Dion Lewis joins Brandon Tierney to discuss the progression of quarterback Marcus Mariota, and the strength of the AFC South. Philadelphia Eagles head coach Doug Peterson joins Tiki and Tierney to discuss the team's hunger to win a second consecutive Super Bowl. Tiki and Tierney discuss how Cleveland Browns head coach Hue Jackson is treating the quarterback competition. NBA Hall of Fame guard Clyde Drexle joins Tiki and Tierney to discuss the Houston Rockets adding Carmelo Anthony to the roster. Former Ohio State linebacker Matt Finkes joins Tiki and Tierney to discuss Urban Meyer's three game suspension. Tiki and Tierney discuss Ohio State's decision to suspend Urban Meyer for three games. Former New England Patriots Linebackers Rob Ninkovich calls Tiki and Tierney to discuss comments phases for the New England Patriots. Aaron Hernandez defense attorney Jose Baez joins Tiki Barber to discuss his relationship with Aaron Hernandez, and the details of his cases. Cleveland Browns running back Duke Johnson joins Tiki Barber to discuss the team's running back depth, and being in HBO's Hard Knocks. Green Bay Packers wide receiver Randall Cobb joins Tiki Barber to discuss the loss of Jordy Nelson. Former Carolina Panthers quarterback Jake Delhomme joins Tiki and Tierney to discuss the expectations for Cam Newton this season. Actor Michael Rapaport joins Tiki and Tierney to discuss the 2018 New York Knicks. Bears TV analyst Laurence Holmes joins Tiki and Tierney to discuss whether Mitch Trubisky is a franchise quarterback. Former Redskins quarterback Joe Theismann joins Tiki and Tierney to discuss the team signing running back Adrian Peterson. Former NFL wide receiver Brian Finneran joins Tiki and Tierney to discuss Julio Jones' future with the Atlanta Falcons. Indianapolis Colts wide receiver Chester Rogers joins Tiki and Tierney to discuss Andrew Luck's progression during the offseason. Tiki and Tierney: Should the Jets avoid starting Sam Darnold? Tiki and Tierney discuss whether the New York Jets are better off benching quarterback Sam Darnold until the team improves. Former Raiders offensive tackle Lincoln Kennedy joins Tiki and Tierney to discuss Khalil Mack's future with the organization. NFL analyst Ronde Barber joins Tiki and Tierney to discuss how the city of Tampa Bay feels about Buccaneers quarterback Jameis Winston. PGA golfer Brandt Snedeker joins Tiki and Tierney to discuss his performance at the Wyndham Championship. Tiki and Tierney: Marlins drill Braves rookie Ronald Acuna Jr.
Tiki and Tierney discuss Miami Marlins pitcher Jose Urena drilling Atlanta Braves left fielder Ronald Acuna Jr.
Seattle Seahawks Shaquill Griffin joins Tiki and Tierney to discuss the team's new identify after all the veteran departure. Arizona Cardinals offensive guard Justin Pugh joins Tiki and Tierney to discuss playing under new head coach Steve Wilkos, and the return of running back David Johnson. Tiki and Tierney discuss Jalen Ramsey's candid comments on NFL quarterbacks. Former NFL wide receiver Brandon Stokley joins Tiki and Tierney to discuss the job security of Denver Broncos head coach Vance Joseph. Former NFL defensive back LeRoy Butler joins Tiki and Tierney to discuss the acquisition of tight end Jimmy Graham. Tiki and Tierney discuss the response of the University of Maryland to death of football player Jordan McNair. New York Giants head coach Pat Shurmur joins Tiki and Tierney to discuss Eli Manning's future with the team. Tiki and Tierney: Pat Shurmur talks Odell Beckham Jr.
New York Giants head coach Pat Shurmur joins Tiki and Tierney to discuss his relationship with star wide receiver Odell Beckham Jr.
Nascar driver Martin Truex Jr. joins Tiki and Tierney to discuss the end of the Nascar regular season. Tiki and Tierney: Can Tiger Woods win another major? Tiki and Tierney discuss Tiger Woods' impressive performance at the PGA Championship. Former NFL offensive linemen Jerry Kramer joins Tiki and Tierney to discuss making the Pro Football Hall of Fame. Tiki and Tierney discuss was it out of bound for Cam Newton to confront former teammate Kelvin Benjamin before the Bills and Panthers preseason matchup. Tiki and Tierney discuss the performance of Cleveland Browns quarterback Baker Mayfield versus the New York Giants. College football insider Aaron Murray joins Tiki and Tierney to share his thoughts on Urban Meyer's future with Ohio State. Tiki and Tierney discuss the release of the new NCAA policy regarding college basketball players entering the NBA Draft. Tiki and Tierney: Does Hue Jackson have control of the Browns? Tiki and Tierney discuss the perception of Cleveland Browns head coach Hue Jackson after watching H.B.O. Hard Knocks. Former NFL quarterback Gus Frerotte joins Tiki Barber to discuss brain health in sports. College basketball insider Jeff Goodman joins Tiki Barber to discuss NCAA's new college basketball policy. Former NFL coach Tony Dungy joins Tiki Barber to discuss the NFL's new helmet rule. Tiki Barber discusses Hue Jackson's comments on potentially starting Tyrod Taylor over Baker Mayfield. Tiki Barber discusses Kelvin Benjamin's comments on former teammate Cam Newton during their time with the Carolina Panthers. Former NFL kicker Nick Lowery joins Tiki Barber to discuss Terrell Owens' absence at the Hall of Fame ceremony. Tiki and Tierney discuss Urban Meyer's statement on Ohio State's knowledge of the Zach Smith domestic abuse allegations. Tiki and Tierney: Is Eli Manning a Hall of Fame quarterback? Tiki and Tierney discuss whether New York Giants quarterback Eli Manning will be in the Pro Football Hall of Fame one day. Tiki and Tierney discuss the potential for backup quarterbacks to showcase their skills during the NFL preseason. Tiki and Tierney: Was Urban Meyer aware of assistant's domestic abuse allegations? Tiki and Tierney discuss whether Urban Meyer was aware of domestic abuse allegations against assistant Zach Smith.